As anyone who’s ever looked into buying a condo knows, there are almost as many types of condos as there are kinds of people. Residential condominiums can range from high- and low- rise apartment buildings to townhouses, duplexes, triplexes, single detached homes, freehold plots or even mixed-use condominiums that include retail or commercial space. They can also feature a wide variety of characteristics and amenities designed to suit almost any budget or lifestyle. WHAT IS INCLUDED? ARE THERE EXTRA COSTS? When shopping around for a new condominium, it is important to be aware of what is and what is not included in the purchase price. For instance, are there amenities such as pools and parking? How is access to such amenities paid for? Are finishes within the units included in the purchase price? Are there other charges over and above the purchase price you should be aware of? Are utilities (gas, electricity and water charges) covered in the monthly condominium fees? Such questions must be considered to effectively compare the overall costs associated with different condominiums. WHAT ARE THE UNIT’S BOUNDARIES? The boundaries of individual units can vary considerably from one condominium to another. In some condominiums, the boundaries of your unit could end behind the interior drywall of the dividing walls. In others, it might only go as far as the wall’s centre line. This can be an important distinction, so find out where your ownership will end, especially if you’re planning to carry out any alterations or renovations. For a freehold, bare or vacant land condominium, the individual unit encompasses the entire house including the exterior walls, roof and even the land surrounding it. Before making a purchase, make sure you understand exactly where your unit’s boundaries will begin and end. Every condominium comes with its own set of rules, regulations and by-laws. These can range from restrictions on the number of occupants allowed to live in each unit to limits on pets, noise, parking and times when certain amenities may be used. 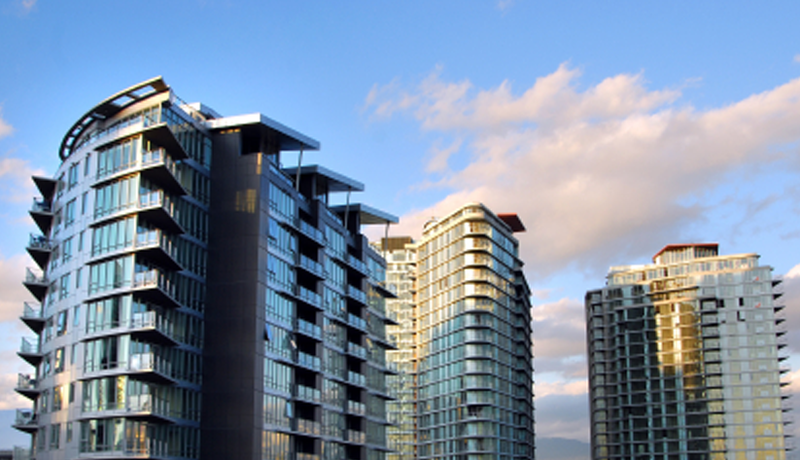 These rules are designed to ensure that the condominium is properly operated and maintained. They can also help protect the rights of each owner and maintain peaceful and harmonious living. Before deciding whether you can live by these rules, make sure to obtain and read a copy of them. This information should be readily available from the seller, property manager, Board of Directors or the condominium’s governing documents. WHAT IS AN EXCLUSIVE USE COMMON PROPERTY ELEMENT? Your condominium may also include some “exclusive use common property elements.” These are areas that are outside the boundaries of your unit but reserved for the exclusive use of the unit owner. Common examples include balconies, parking spaces, storage lockers, driveways and front or rear lawns. While these spaces are for your exclusive use, there may be restrictions on how and when you can use them. For example, you may not be able to park a boat, RV or commercial vehicle in your assigned parking spot, or there may be restrictions on what you can place on your balcony. If you feel there may be a potential conflict regarding what you want to do with any of your common property elements, try to clear it up before you sign on the dotted line.